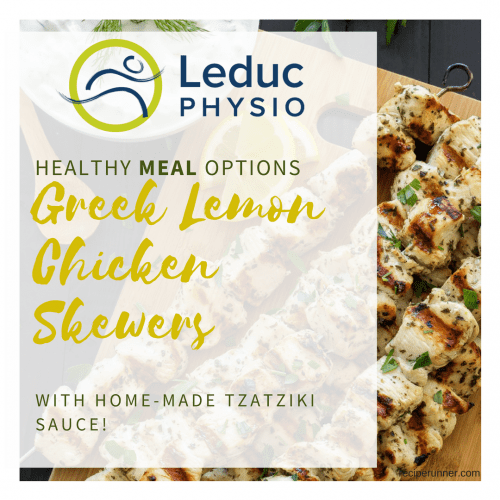 Greek spices, lemon chicken, and fresh tzatziki sauce. We want this for dinner all the time! This recipe for Greek chicken may look daunting, but it’s really two recipes in one! 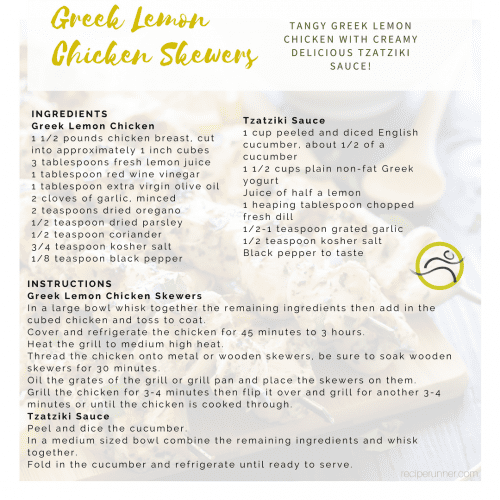 Lemon chicken with Greek seasoning for the grill, and a creamy tangy tzatziki sauce to make while they cook! Just another way to mix up those boring chicken breasts, and maybe empty some ingredients out of your fridge! Plus, skewers are easy to cook and fun to eat! Interested in more recipes, fun contests, and giveaways? Subscribe to our newsletter or follow @leducphysio on our social media feeds!